Beard Brush with pure boar bristles. Beard brush in popular oval shape. 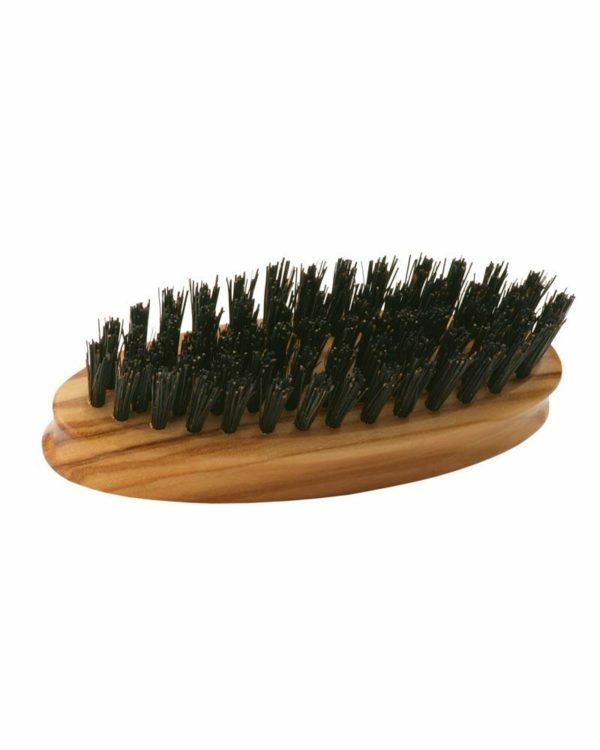 The brush body is made of natural wood and is equipped with pure boar bristles. The slightly offset attached bristles allow a better penetration of the beard hair than the usual smooth attached bristles of other beard brushes. Therefore this beard brush ist particularly suitable for the full beard or whiskers.